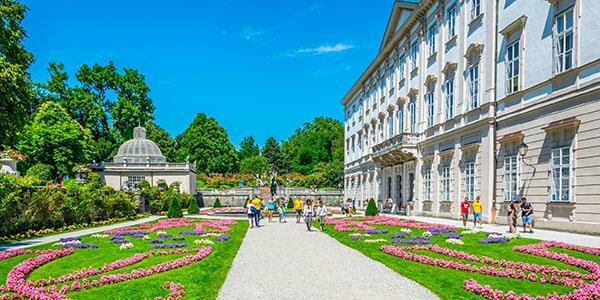 Salzburg is considered the place where the Italian and German cultures meet and has a very recognisable Baroque feel to it. It is home to a great many incredible and very elegant buildings and the historic centre of the town of has been made a UNESCO Site due to its architectural interest and history. There is a wonderful array of buildings, squares and streets to discover in the heart of the city, but if you only have a limited amount of time, which ones should you definitely not miss? 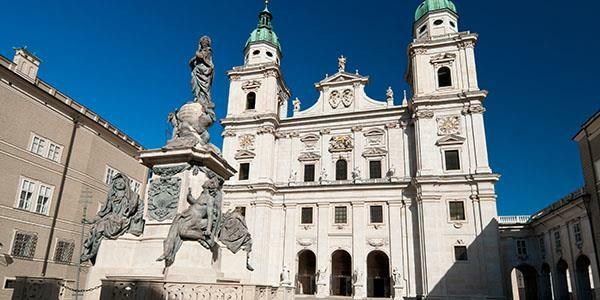 One of the main sights of Salzburg is the 17th century Cathedral which lies off the square Residenzplatz. The previous Cathedral was first built in the 11th century, but a major fire meant its reconstruction was necessary. Statues of the apostles Peter and Paul stand out the front, along with the two patron saints Rupert and Virgil. The Cathedral still holds the font in which Mozart was baptised. St. Peter's Abbey is thought to be one of the oldest monasteries in the German speaking area (founded 696 by Saint Rupert) and is Romanesque in appearance. It currently houses the oldest library in Austria! There are hundreds of old manuscripts inside, the most important of which is the Verbrüderungsbuch, left there in the 8th century. It is a register of the names of sponsors and benefactors during the Middle Ages. Residenzplatz square can be found right in the heart of the historic centre, and in the middle is the Residenzbrunnen, a grand 17th century marble fountain constructed by Tomasso di Garona. The fountain depicts four horses emerging from water and is considered the largest Baroque fountain of Middle Europe. Overlooking this famous square is the Salzburg Residenz, an amazing building whose current structure dates from the 16th century, and for centuries was used as the residence of the Archbishops of Salzburg. Now the building is an impressive museum. Though not one of the oldest of Salzburg's buildings, this is certainly one of the most impressive. Mirabell Palace lies across the river from the cathedral and abbey and was built in the early 1600s. It was built on the orders of the Prince-Archbishop Wolf Dietrich von Raitenau but in the 18th century it underwent a lavish Baroque redesign under the rule of the new Prince-Archbishop. The famous gardens were laid in the 17th century and some interesting statues remain from this period. It isn't only right in the heart of this protected city that you'll find historical gems. There are a few spectacular locations that are slightly further out, and a little less known about. Just an hour and a half from the city centre, Kaprun castle sits mounted on the side of a hill, surrounded by evergreens and backed by magnificent towering alpine mountains. Now a tourist attraction, this castle was once a sanctuary for noblemen. Though the first record of it is from the late 13th century, historians believe it was actually erected in the 1100s by the noble family of the Counts of Falkenstein. Having been pulled out of its state of decay in the 1970s, the castle now stands once more in its original splendour and provides a historic setting and venue for modern events and entertainment, creating the perfect combination of past and present. 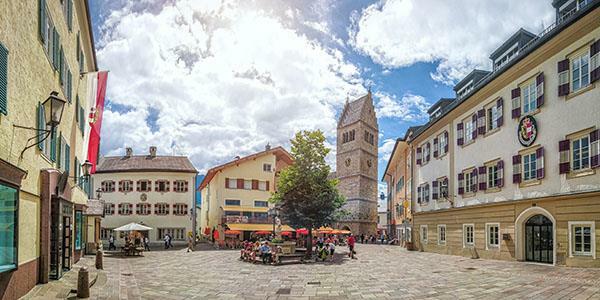 The history of the small lake-side town of Zell am See dates back to the 8th century CE when monks founded a settlement which evolved first into a village and then a market town. The first hotels were built in the 1800s. The Catholic church of St. Hippolyte's has some of the oldest known building work of the region. It is located a little way back from the lake shore and is built in the Romanesque style. Inside is a mixture of Gothic and Romanesque architecture and some of the older building work is thought to date from around the 15th century. Zell am See is roughly an hour and a half south of Salzburg. It sits jutting out into the Zeller See and the catholic church of St. Hippolyte's is located just off the town square. 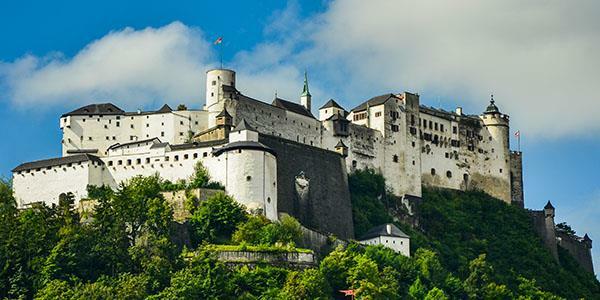 This stunning Fortress looks over the old town of Salzburg and the Residenzplatz square, from a steep rock above the city. The current building work dates back to the 12th century, though a number of structures have stood in its place previously. Towers, bastions and outer wards were added in the 15th century and then during the 16th and 17th centuries reconstruction and extensions took place. Originally constructed as a symbol of power, this is one of the largest Medieval castles in Europe and now a great visitor attraction to explore. Inside you'll find the Fortress Museum and there is an audio tour that will guide you around some of the rooms. Opening times are generally 9.30-5.00, though it is longer during the high season. 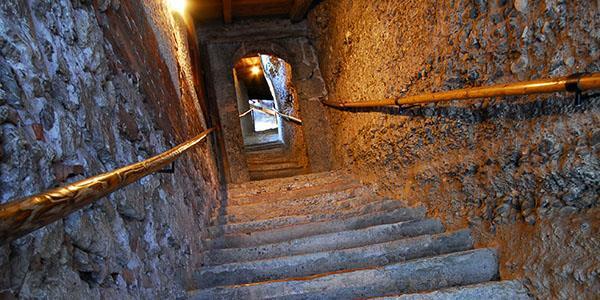 There is a funicular railway that can take you up and down the steep cliff to the castle. 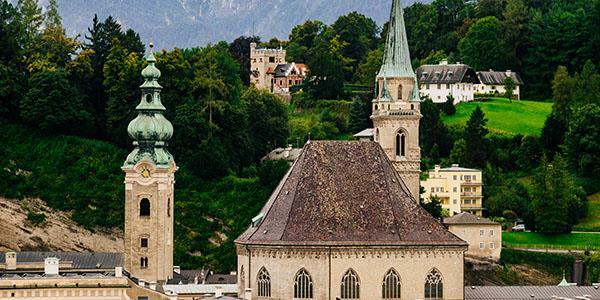 Find specific opening times, events and ticket prices on the website here > www.salzburg-burgen.at. 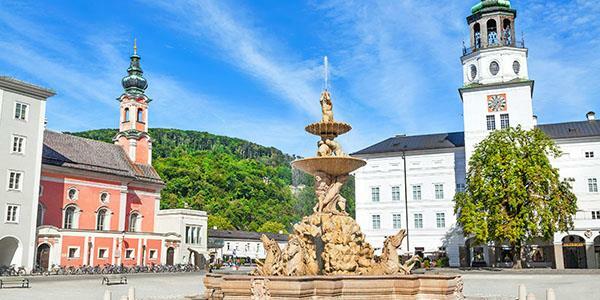 Stay in Viehhofen and discover the wonderful area of Salzburg for yourself. Simply enter your details at the bottom of the page to receive a free brochure.